Our mission is to provide a fun, safe place where children can enjoy physical activity and prepare them for a healthy, active life. We believe that POSITIVE REINFORCEMENT is the best way to motivate and develop self confidence in children. 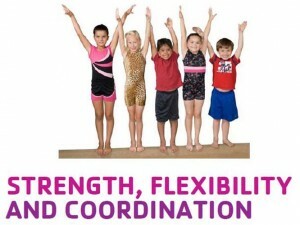 Lawrence Gymnastics & Athletics kids develop abilities and talents, and young athletes pursue their dreams and goals. We believe that gymnastics and tumbling training at a young age prepares children for a healthy lifetime of physical activity. LGA is a great environment for children to learn basic motor development skills that will prepare them for any sport they may try through out life. At LGA fitness is FUN!